It is unusual to read a book set in England but written by a German author and translated into English. I was therefore intrigued by THE OTHER CHILD, a book that has apparently sold 15 million copies in Germany since its publication there in 2009. 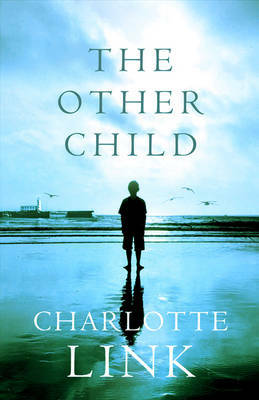 THE OTHER CHILD is the story of a group of people who live in Scarborough: Chad and his daughter Gwen live on a decrepit farm; Fiona, a widow, lives in a flat in the town, regularly visited by her granddaughter Leslie, a recently divorced doctor. Fiona and Chad have been very close since the Second World War, when the 11-year-old Fiona was evacuated from London to the farm. The two never married. Nowadays, Fiona spends much of her time on the farm, telling Chad and Gwen how to run their lives in no uncertain terms, and looking after the reclusive old man. Gwen, a plain, old-fashioned woman, is in her mid-thirties and very shy: she enrols in an evening class to improve her confidence, and there meets Dave Tanner, a handsome but impoverished wastrel-type, who makes a meagre income teaching housewives French and Italian. Dave offers Gwen a lift home one rainy night, and before too long the two are engaged to be married. They invite Leslie and Fiona to a party to celebrate this event, along with Jennifer and Colin, a childless couple with two Great Danes who spend two or three holidays each year at the farm. The party is a disaster, mainly because the shrewish Fiona accuses Dave of only being interested in Gwen so that he can take over the farm. The group breaks up; by the next morning, one of them is dead. The police officers who investigate this crime are DI Valerie Almond and DS Reek. They wonder if the death could be related to that of the unsolved murder of a young student in the town some months previously, but evidence is frustratingly hard to come by. The bulk of the book consists of the relationships between and behaviour of this group of characters and one or two others. Several of them have come into possession of Fiona's emails to Chad, which tell the story of the couple's friendship since the war to the present. Leslie, in particular, is deeply affected by the outcome of this story and its implications. THE OTHER CHILD is very readable, but it has more in common with a book by, say, Maeve Binchy than a crime novel. The police investigation is only briefly sketched - Almond and Reek seem to have no base or team; their role is basically to interview various characters. The crime element comes to the fore at the end, but unfortunately I found the identity of the criminal obvious and the climactic finale overdone. One of the plotlines simply peters out. The story of the "other child" is a moving one, but because most of it is left to the final section of the novel, it almost seems like a side-issue, rather than the focus of the book as one might expect from the title. The author evokes some of the atmosphere of Yorkshire and of London during the Blitz, and has a few sharp digs at landladies and town gossips. Apart from the odd misplaced word (for example, someone who takes a bus to town is said to have "driven" over), it is impossible to tell that the novel was not written by a native Englishwoman. Some of the dialogue is fairly clunky, but overall the book is an easy, undemanding read, which I enjoyed despite the weakness of the crime plot.